Lovetoescape.com offers excellent value online advertising for all types of holiday accommodation. As part of our ongoing efforts to create the best community on the web for holiday accommodation and attractions we have introduced a new Refer a Friend scheme. We encourage existing members to recommend the site to their friends and colleagues to help us to promote the site and more importantly to help you. The Refer a Friend scheme offers a simple discount and is open to all existing registered Premium members. You and your friend will receive a 50% discount for Premium advertising. We can offer you a further 25% discount based on the number of additional friends you recommend who sign up to LovetoEscape. For every new owner, recommended by you who become a registered Premium member in their own right, we will honour you a further discount on your next renewal. So if you recommend one friend, you will pay only £90+VAT at your next renewal. If you recommend up to 4 friends within the year then you will receive your next renewal for FREE. As an added incentive each friend introduced will only pay £90+VAT when they upgrade, that’s HALF PRICE, a great saving and return on investment for the Summer season! Friends of existing members should register with us as an accommodation owner. (If they have already registered with us on the site just let us know during the upgrade process. Go to Step 3). When your friend registers, they should select 'Other Owner’ and enter your numerical USER ID in the ‘Marketing Associate Code’ field within Referrer (see below, Figure 1). 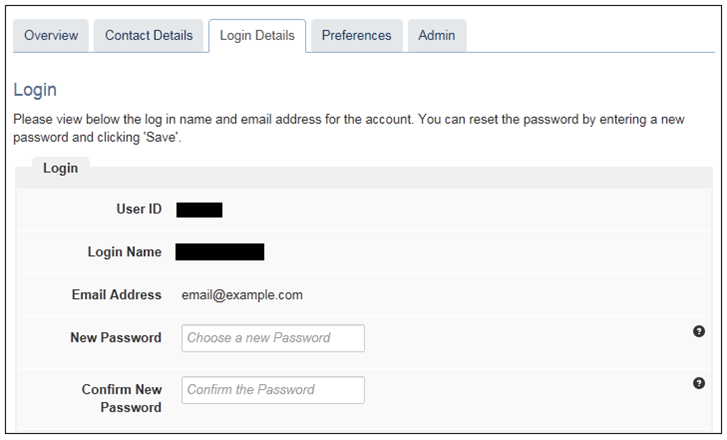 Your User ID can be found in ‘My Account Details' within the Login Details’ tab (see below, Figure 2). The new member should then upgrade using the special offer code “L2EFRIEND”. This will entitle them to a premium membership at £90+vat. When you come to renew your membership, the number of Premium friends that you have recommended during the year will be taken into account when calculating your discounted renewal fee. If you have any questions about this special offer or other aspects of our advertising program, please contact us on +44 1786 871 246.